Chocolate bread: a tasty and brilliant idea to use leftover stale bread! With simple ingredients you can make special snack, you’ll just need chocolate and stale bread. With simple ingredients you can make special snack, you'll just need chocolate and stale bread. 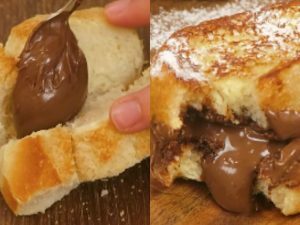 Ingredients: Bread; Hazelnut cream (as needed); 1 egg; 2 cups of milk; 1 teaspoon sugar; Powdered sugar (as needed). 1) Cut the bread into thick slices. On each slice make an incision, but not too deep dividing the slice in two. 2) Stuff it with the hazelnut cream and close. 3) In the meantime, beat the egg with the milk, and soak the bread in the mixture. 4) Then cook in a pan with a little butter, a few minutes per side. Serve warm with powdered sugar! 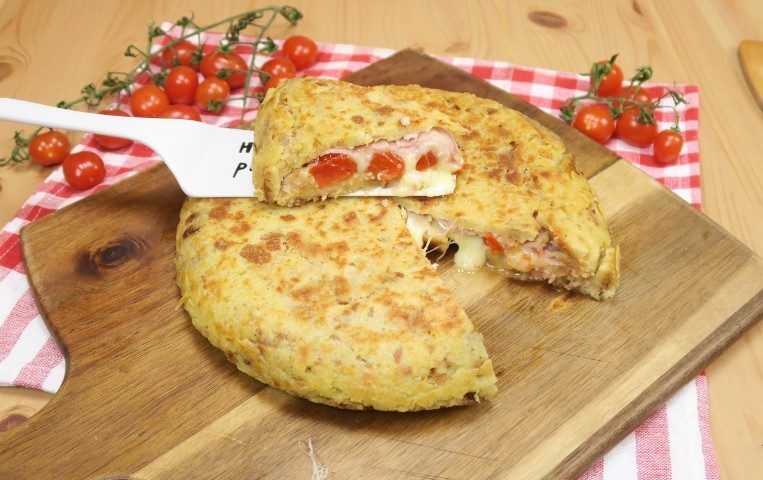 Ingredients: stale bread; 1 glass of milk; 1 egg; 40g Parmesan cheese; salt, as needed; pepper, as needed; cherry tomatoes; olive oil, as needed; 100g ham; 150g cheese; oregano. 1) Cut the bread into small pieces, pour the milk over it and let it soak in the milk for a few minutes. 2) Add the egg, salt, pepper and mix everything together. 3) Place half of the mixture in a frying pan with oil, add the ham, cheese, cherry tomatoes, a bit of oil and oregano. 4) Cover with the remaining bread mixture and cook 5 minutes per side. 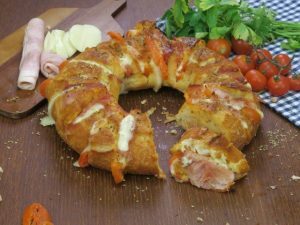 Pizza bread: a brilliant idea for recycling stale bread! 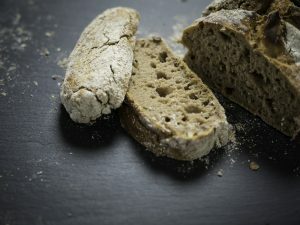 How to use leftover sliced bread? Chocolate pie: here’s a good way to use up leftover chocolate Easter eggs!